Well, let’s put it this way, are you having a bowel movement after every meal? Well your in good company lots of people today are experiencing a reduction in flow and a slow down in colon function. If your experiencing constipation, growing digestive discomfort, bloating, gas, pain and inflammation. Do you ever wonder what is happening with the food in your belly? It’s backed-up in your colon or could it be causing a bacteria build-up in your small intestines due to stagnation and lack of flow. Pain in your belly and discomfort when eating can indicate poor flow in your body. Pain in your belly can also be a sign of poor flow in the body.in the body. Wouldn’t it feel great to clear all that out and get it all flowing and moving? Our digestive system needs to flow, our blood needs to flow, our sweat needs to flow, our energy needs to flow. With out flow our bodies systems stagnate. Think of a pond or a pool without a filter or a flow of water. It will go green and stinky with out flow. Well I have to tell you your body is the same. Natural doctor’s will attest to the fact that we need to resolve stagnation in our bodies systems to restore and maintain good health. Colon Therapy can provide an easy way to get this flow right away so your body can function more efficiently. Did you know that if your experiencing the following symptoms your body is not be flowing well. 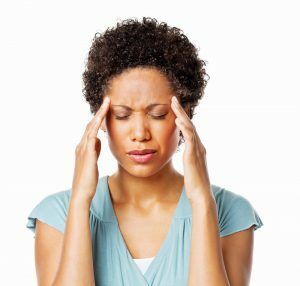 Headaches can be associated with toxins that are not flowing out of the body enough. Release of toxins during a Cleansing program. All right what do I do the start this process of creating flow and removing stagnation? Your body when given the proper cleansing program, can shed the built up toxic load that can be the cause the above issues. Often our clients try a cleanse program before they come to our office for colon therapy. Most clients will say their cleansing wasn’t successful at resolving the digestive issues they are experiencing. The reason for this is, they didn’t create flow first and all the cleansing in the world won’t be successful with out clearing the log jam (pardon the pun). Colon Therapy provides flow needed, so the body can detox and heal. Once you start the colon therapy and get that flow started, then you can implement a cleansing program. Now you are on the way to resolving your backup and allowing your body to resume a good flow. It’s only at this point your body can clear out all the junk and start detoxing. Colon therapy is a wonderful tool to tweak your digestive system to remembering how to flow again. You may need to use this colon therapy tool a many times to get your system to flow on it’s own. Rest assured by our experience at our centre we have guided many clients through this process with great results.